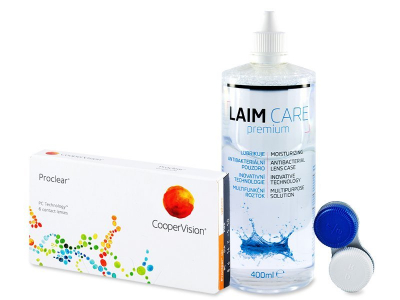 This economy package contains a 400 ml bottle of Laim-Care solution and Proclear Sphere monthly contact lenses. Proclear Sphere are suitable for users affected by dry eyes thanks to their high water content and oxygen permeability. 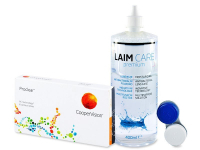 Proclear Sphere contact lenses are high-quality lenses manufactured by CooperVision. They provide sufficient moisture and breathability to be suitable for users affected by dry eyes, or anyone who wears contacts at work in air-conditioned, or dry, dusty environments.